- Decide on what equipment and apparatus you will need. - Describe and assess any hazards you might encounter in your investigation. - Outline your plan for your investigation. - Decide what materials and information you will need to collect. - Decide what you will measure and observe. - Always make sure that your experiment is a fair test. - Record your results clearly and accurately. - Achieve your information carefully through accurate observation and measurements. - Repeat your steps of measureing and observing to ensure that your information is reliable. - Analysis your result to see if there are any patterns. - Get conclusion from your results. - Think about the strength of your evidence, results. Can the process have any improvements? Would you do anything differently? Your Aim - Why do you want to do the experiment? What hypothesis are you going to test? Reason for your experiment; you want to find out why A is good but B is not so good? Your Method - What are you goiing to do or test? Make labels and/or diagrams to help keep your method in order. 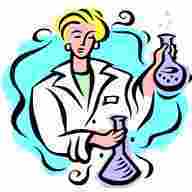 Your Result - As you carry out your experiments be sure to observe things happening and record measurements. Sometimes it is a good idea to record your results in a table or chart.